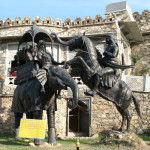 Haldighati is famous historical site known for the gallantary of Maharana Pratap. 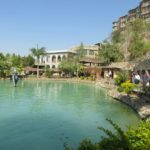 Located at a distance of 40 km from Udaipur city, Haldighati is a mountain pass in the Aravalli range joining two districts – Rajsamand and Pali of Rajasthan. Due to the tumeric colour of the mountains, these are called Haldi-Ghati. 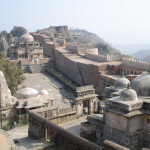 These narrow mountain plays very important role in defending the honour of Mewar dynasty. In 1576 , Haldighati witness a huge war between Rana Pratap Singh of Mewar and Raja Man Singh of Amber. Great battlefield, brave soldiers’ heroic deeds and red color soil tuned by blood makes a visitor sweating. 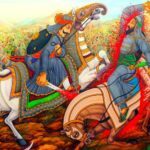 Maharana Pratap and his horse ‘Chetak’ were the hero’s of Haldighati battle. This blooy battle takes away many lives with loyal Chetak also. Nearby pure white marble cenotaph is dedicated to courteous Chetak. 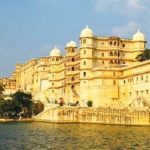 Haldighati, a historic place, is twenty-four km from Nathdwara and 43 km from Uclaipur–the site of a bloody battle fought in 1576 AD between Akbar and Maharana Pratap's armies. The picturesque mountain-pass now has a house showing through pictures the scenes of the battle. The spot where Chetak, Maharana's faithful horse, died, trying to save its master, is marked by a memorial.